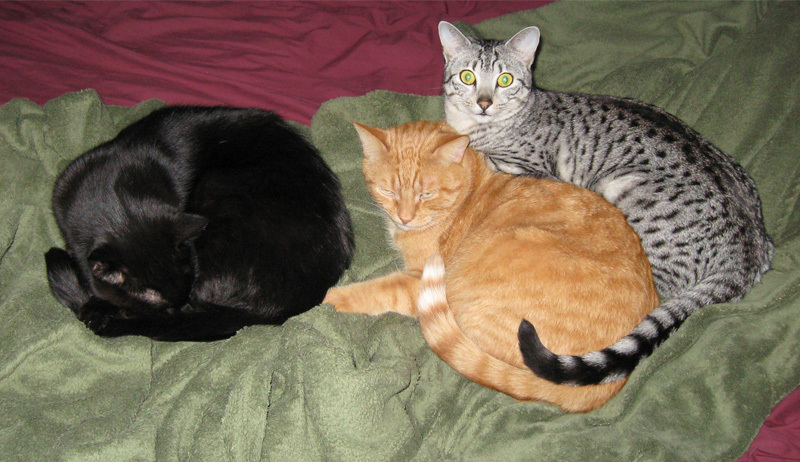 For the first time yesterday, I was able to capture all three of the Crewe-Morris household cats cuddling together. I feel cuteness of this level deserves to be shared with the world. Molly and Hazel often hang out together, but Fiver is usually more stand-off-ish. Perhaps the chilly weather is bringing them together? Molly's an Egyptian Mau--a breed I highly recommend if you're looking for a very pretty, very affectionate, pretty hyper cat.